We first met Cathy Salit when she had an idea for a book. 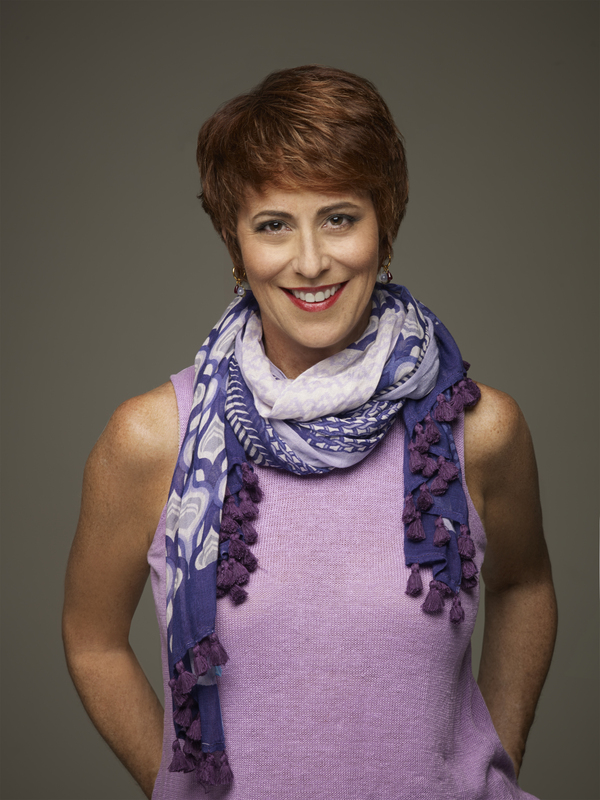 As the CEO of Performance of a Lifetime, a company that helps individuals and organizations with all things related to human development, we knew she had a life-changing book on her hands. 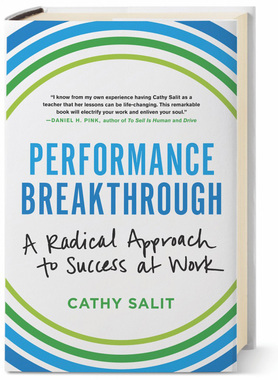 Performance Breakthrough: A Radical Approach to Success at Work can now be found in the business section of bookstores. But we think it’s a book that everyone interested in becoming a better version of themselves should read, especially if you’re an author without writing experience, or a writer without publicity and marketing experience. You’ll see why. The Book Doctors: In your book, Performance Breakthrough, you talk about the idea that you can be who you are and who you’re not at the same time. Can you explain what that means? Cathy Salit: We human beings all have an innate ability to perform, to project, to imagine, and to play. This ability is something we are able to exercise effortlessly as children. We play mommy and daddy and different superheroes, on different planets, different animals, and so on. It’s something that is not just a cute and wonderful thing about childhood; it’s also a very big part of what enables children to learn and to grow. But what happens is, at a certain point in our childhood, all that playing and all that experimenting gets pushed to the wayside, and now it’s time to learn and behave and to get things right. This is for a good reason, in the sense that you don’t want to play and experiment with how to cross the street. But we end up minimizing the part of ourselves that can, and should, and could continue to play and experiment. We develop our identities, our personalities, and define ourselves by our profession, who we love, what we like to do. Performance Breakthrough proposes that what it means to grow–to keep learning and keep developing–is to combine who we already created ourselves to be and who we are not yet. TBD: With a lot of authors, especially of nonfiction, the first thing they say is, “I’m not a writer.” Either they’ve had careers that they’re writing about, and that career has not been writing, or they are people who have always dreamed of writing a novel, but they have a day job, et cetera. Using the principles of Performance Breakthrough, how does one take on the role of “Writer” while thinking that you are not one? CS: What if they don’t have to own that they’re a writer? What if they just pretend to be a writer and not worry about whether they really are? A helpful concept is to creatively imitate writers, and that can include learning more about what it means to be a writer. One of the many, many things that I did to put myself in the zone of being a writer was reading books about writing by writers, like Anne Lamott and Stephen King, and creatively imitating and doing what they said to do. Number two, as a performer, I’m a talker. I’m a speaker. I pretended to trust that I could just write down what I would say, and that would be enough to get started. TBD: Today, being a writer means more than just writing. It means being a salesperson, a publicist, a marketer. Many of these jobs are completely the opposite of what most writers want to be doing. Many writers are introverted and are not comfortable in these scenarios of having to publicize and market and sell their work. We’re curious about how you would talk about using the ideas in Performance Breakthrough for adopting these roles. CS: Yeah, it’s hard! I am a salesperson. I am a marketer. And I find it hard. You can think about it as a scene in a new play that you’re in where some scenes are alien to you. Give yourself some lines to say. Those could include: I’m not used to speaking in public. I’m not used to doing podcasts, or being on the radio, so bear with me. You can be playful and honest about this not being your natural habitat. You don’t want to do that endlessly, but it’ll help make you feel more comfortable. Also, it will lower your expectations and relieve some of the pressure. TBD: Do you have any advice for people who, like you, are translating a lifetime of work to the page? CS: What occurs to me is the importance of voice. This might seem contradictory, but you can never stop being who you are. If you’re trying to put onto the page your passion, your work, don’t let the fact that you’re putting words on a page and having to use a medium that is maybe not your natural habitat rob you of your voice. Find a way to still be who you are, even while you’re being who you’re not. It’s back to our philosophy that you need to be both. You’re not just being who you’re not. You’re being who you are, too. It’s got to sound like you. It’s got to feel like you. You don’t have to impress anybody. One of the biggest compliments that I’ve gotten for my book is that people feel like they’re in the room with me. Perhaps that’s particularly important for my book because our work is of such an experiential nature. 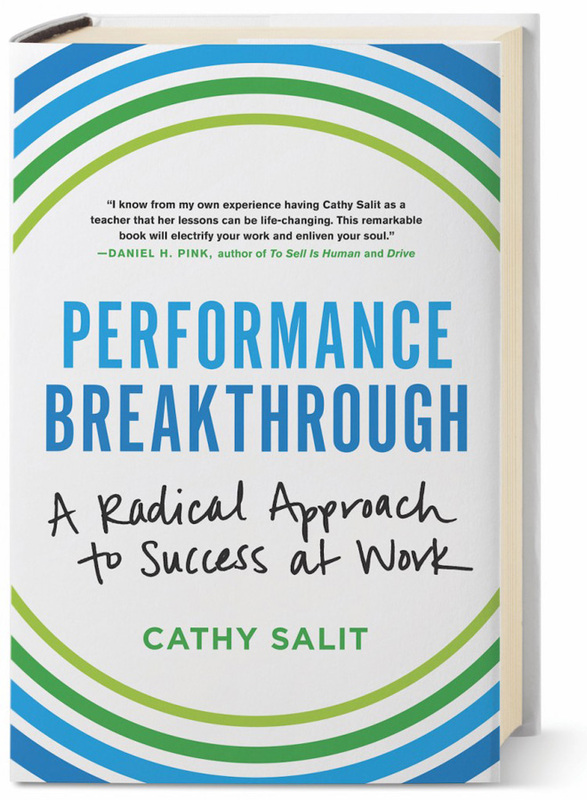 Cathy Salit is the CEO of the innovative consulting and training firm Performance of a Lifetime and author of PERFORMANCE BREAKTHROUGH: A Radical Approach to Success at Work (Hachette Books). 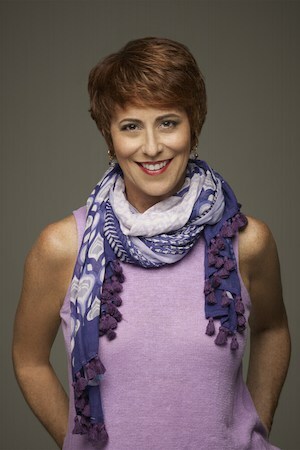 She is a speaker, facilitator, executive coach, instructional designer, and social entrepreneur. Cathy performs regularly with the musical improv comedy troupe the Proverbial Loons and, less frequently, sings jazz and R & B on any stage she can find or create. She lives in New York City.